The technological revolution has emerged as an enabling factor in the development of almost every sector. On a similar note, the healthcare industry is facing numerous challenges in today’s dynamic business environment, be it clinical, nonclinical or operational processes in hospitals. Hence, the industry is embracing digital transformation and making significant investments in processes and technologies to cut down costs, increase access to care delivery, and improve……. Allscripts is a leader in healthcare information technology with a 30-year history of excellence. 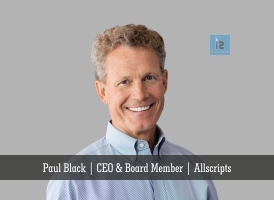 The company has a vision to build open and connected communities of health that advance clinical, financial ……….